This is an Alternative solution for Connectors or Soldering to create quicker and more secure wire connections. Easy way to connect all your misc. 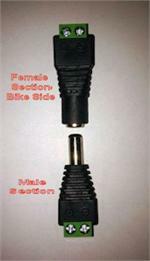 electrical or led wires together and run just one wire to the positive and negative sources. Perfect for making inline connections for multiple connections. 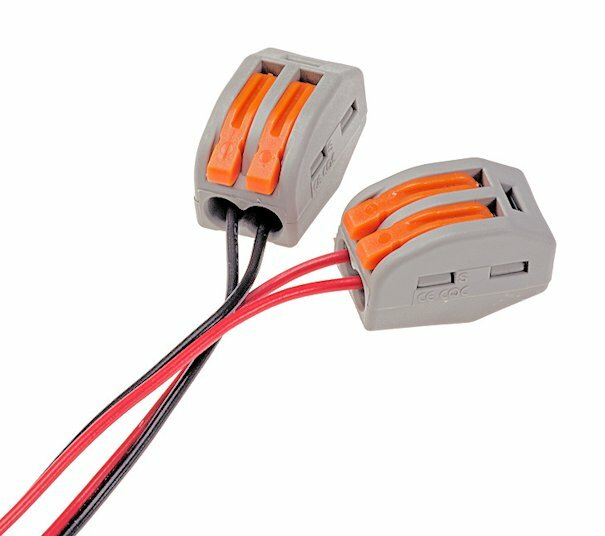 Great way to connect items that may need to be disconnected during vehicle maintenance. Insert stripped wires and close the lever to secure wire and create a common connection between the other terminals, no tools required. 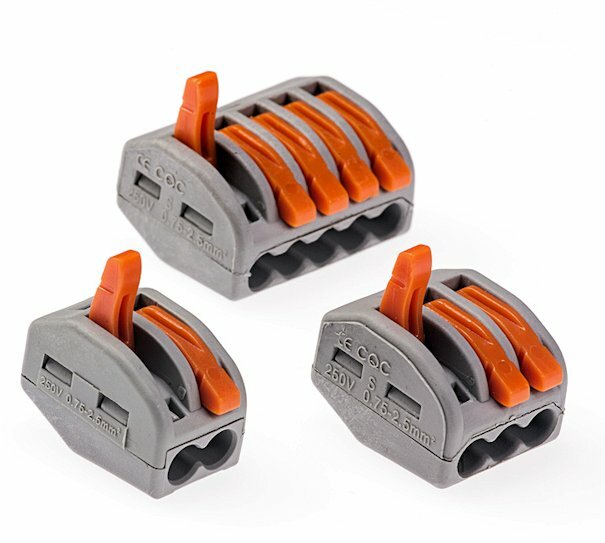 These Quick Connect Terminal Blocks spring load to open and close down to lock. Very small size, can be installed just about anywhere. 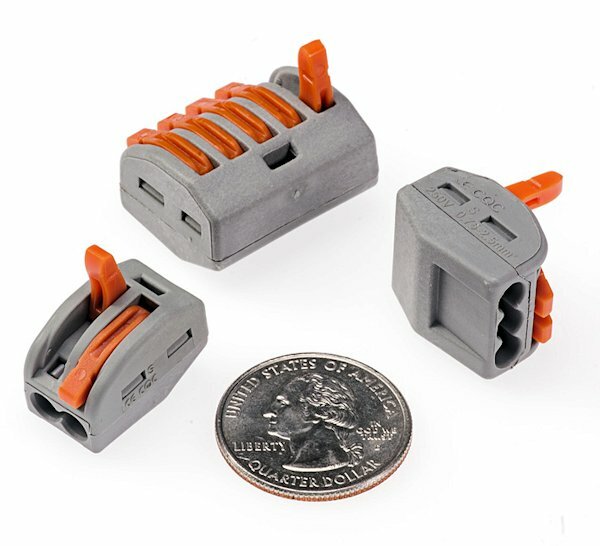 Free Hanging connector mounting. 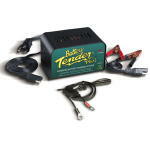 Available with 2, 3 or 5 conductor terminals. Choose above.